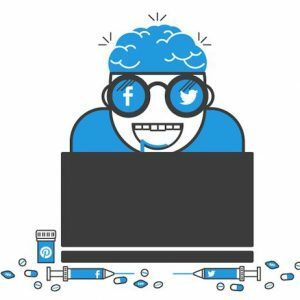 Home / Tech News / Do you know if you are a true social media addict? The deprivation of these caused symptoms similar to those experienced in the face of an addiction, such as anxiety, despair or emotional emptiness in 20% of users who lent themselves to spending 24 hours without social networks, following the guidelines of the research carried out by the University of Maryland. 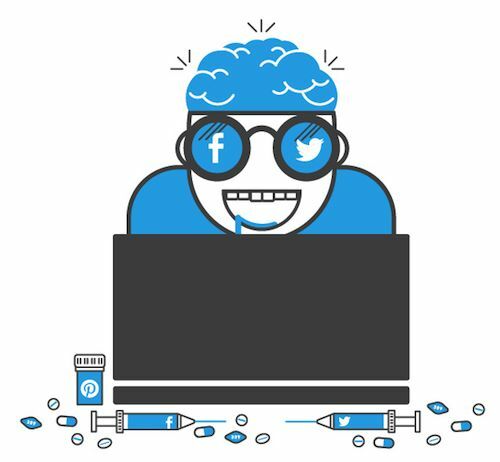 Not surprisingly, the transmission of information and personal data through social networks increases brain pressure; the users share with the hope of obtaining a gratification, either from the physical or emotional point of view. According to Harvard University, sharing information in Social Media gives a pleasure similar to that experienced when receiving money. In view of this reality, how can we control the effect of social networks on us? Are we able to prevent them from dominating our existence? Do we belong to a generation of Social Media addicts? You can not “like” everything.Develop a critical spirit in Social Media. We agree that there is such information saturation that it is impossible to assimilate everything, and analyze everything; for this reason, choose the most relevant sources for your sector, use the social aggregators, create lists on Twitter, in short, let the tools work for you. Do not try to hoard everything, only this way you will give an image of professionalism and rigor in your work. You constantly receive on your smartphone alerts and notifications of all kinds, that grab your attention.Establish a schedule for each activity. It includes a section to check the mail, check the updates of your social profiles and respond to comments and queries from your followers. Constant attention to these tasks causes you to lose productivity, as well as making it impossible to concentrate on your work. You define yourself as a guru, although you are not exactly a spiritual leader. Admit it, you are not the center of the universe, nor are you in possession of absolute truth. Surely you have a lot to contribute, but for this you have to practice continuing education, drink from the referents of the sector and accept the advice and constructive criticism of others, taking advantage of each new contribution. Specialize in a specific subject, remember, apprentice of much, master of nothing. Of charlatans is the Social Media full, professional form and prove your value with facts, not words, only thus you will gain the respect in the sector. If you have created your own parallel world, which even has its own language, where social networks have become verbs, words that call actions, and vowels are a superfluous element that occupy space and make it difficult to transmit the message ; seriously plan to return to the underworld, where there is an established communication system, accepted by all those who really want to reach something in this environment. If a social network falls, you feel as if you lack the air. You could not survive a power outage in Social Media, nor can you think what would become of you if you did not have access to Twitter, or your connection did not allow you to update your Facebook profile. Stand for a moment and breathe: there is life beyond Social Media. Do you feel identified with any of these profiles? To what extent does Social Media dominate your existence? Next Article » Are Facebook Ads a Lie?